It’s no shock that you might already be using Microsoft’s Office suite on your PC. In case you are a Linux user, Libre Office would be your pick. However, I think you’ll agree to the idea of – “the more alternatives the better” – isn’t it? Well, no matter whether it’s a software product or a hardware product, having an alternative lets us decide and evaluate what’s best for us. Similarly, WPS Office 2016 is a potential Microsoft office alternative and something that you could choose over Libre Office as well. In this article, we’ll take a look at WPS Office 2016 and see how good/bad it is. WPS Office Suite: What’s Included? The office suite includes three applications (WPS Writer, WPS Presentation, & WPS Spreadsheets). If you are an advanced user who needs database management system, you probably have to wait for WPS Office suite to add a database management system as another product. The office suite is compatible across major platforms (Windows, Linux, Android, & iOS). You should have no trouble at all when migrating from Microsoft Office suite to WPS office suite. However, do note that not all elements within the documents or presentations will appear exactly the same as it did on Microsoft products. So, you should be ready to tweak the documents/presentations a little after opening it up on WPS Office. 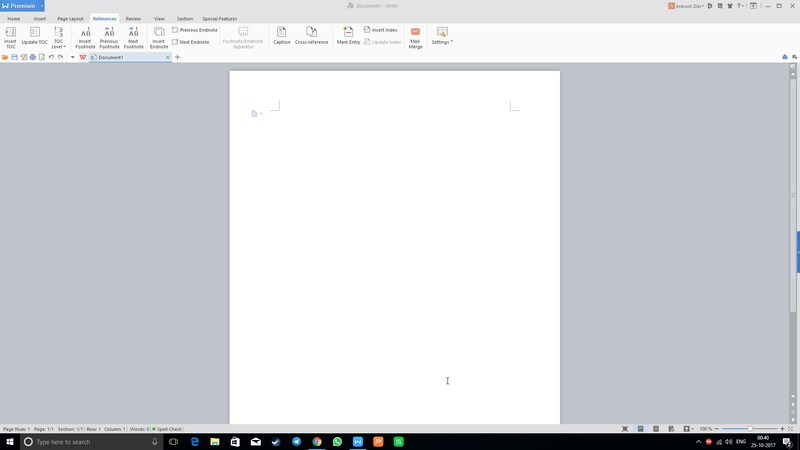 WPS Office offers an impressive user interface which is super easy to work with. 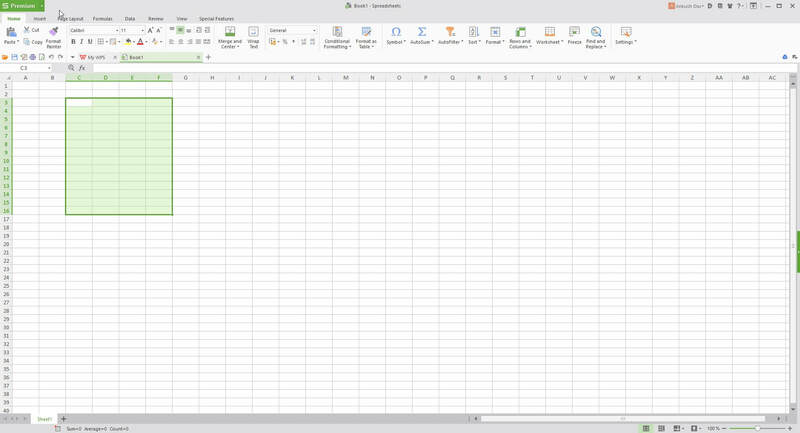 Of course, it is not completely unique – but resembles the layout of Microsoft Office suite products. Well, in a way, that’s a good thing because you don’t have to spend hours in order to research how things work. It’s almost similar to the MS office products – so you already know where to find the options you want to utilize (saves time really!). All things considered, it still provides a unique user experience being quickly accessible without any hiccups (so far so good!). The package size for installation is very impressive when compared to other office suite products (MS Office ~ 3 Gigs and Libre Office ~ 200 MB). It’s just around 70 MB (the setup file). You just have to download it from the official site and install it (you’re all set!). It will not require any additional files to get it installed. The “File Roaming” feature currently works only for the users in China (it’ll be rolled out to International users soon). However, if I manually click on “Save to Cloud” – I was able to access the document across different devices. But, apart from the cloud syncing capability, everything else worked absolutely fine! Not just limiting to mobile devices, I think they should also add the ability to choose the cloud storage space to synchronize the documents because some of the files may contain sensitive information which should reside in a secure server (not everyone would like to store it on WPS Cloud server). The absence of grammar checking could be a deal breaker if you extensively utilize the feature. If you ignore that (or don’t use it at all) and consider 100+ word templates available online from within the application, WPS Office suite could turn out to be a pizza with maximum cheese that you’ll love! WPS Presentation is clean, intuitive, and powerful enough for any kind of presentation creation. The default templates come handy. And, if that’s not enough, you still get access to an enormous template database for WPS Presentation. It does offer plenty of animations and transition effects for your slideshow. Similar to WPS Writer, it includes some special features too with few more additions like video exporting and image exporting from the presentation file. As far as I’m concerned, video exporting could come handy at times. So, it’s a good thing they added the functionality to it. Also, it does let you install flash animation through the review options. There’s no night mode for WPS Presentation as you had with the WPS Writer application. 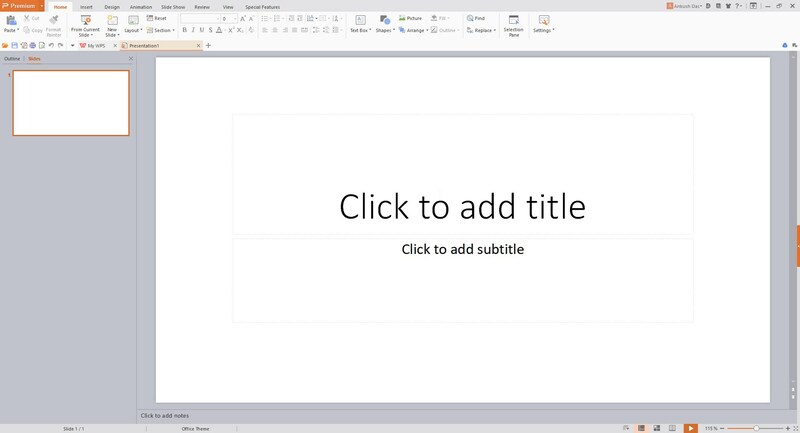 That’s what I missed when creating a long presentation file. Apart from the things mentioned here, everything else did seem to be perfect. Spreadsheet programs probably do not require any kind of “out of the world” features. You should be able to manage it quickly with the ability to use a variety of functions for faster calculations (when needed). Well, that’s what you get with WPS spreadsheet. You get all the formulas organized in a proper manner along with the ability to utilize night mode and “eye protection mode” – just to help your eyes relax. 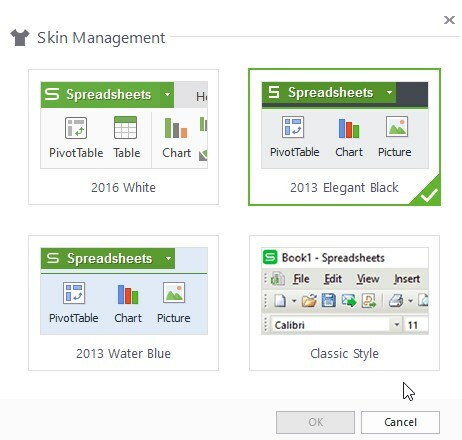 Just like any other spreadsheet program, you get to control the page layout and also get the option to add charts as per the data you have. With WPS spreadsheets, you get an additional special feature of “document slimming” which will reduce the file size if you have a lot of data in your spreadsheet (and the file size is equally big). WPS offers a free version, a premium version, a professional edition, and an education edition to choose from. The free version may not be a perfect replacement for other free office suites because it includes advertisements that would pop up from the bottom of your screen when you least expect it. The premium version would cost you $29.99/year – which is still a lot less than Microsoft’s office suite. And, the professional edition would cost $44.99/year or $79.99 for 3 years. 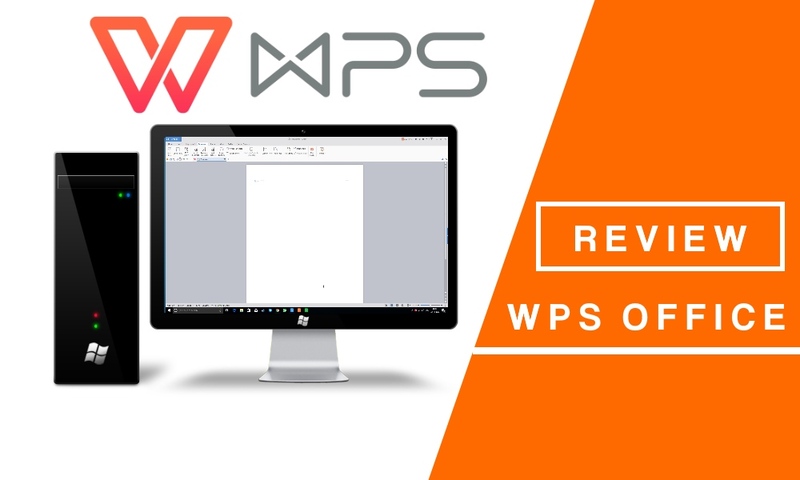 WPS Office is an incredible addition to your PC considering how fast it is (and light) available for an affordable price! 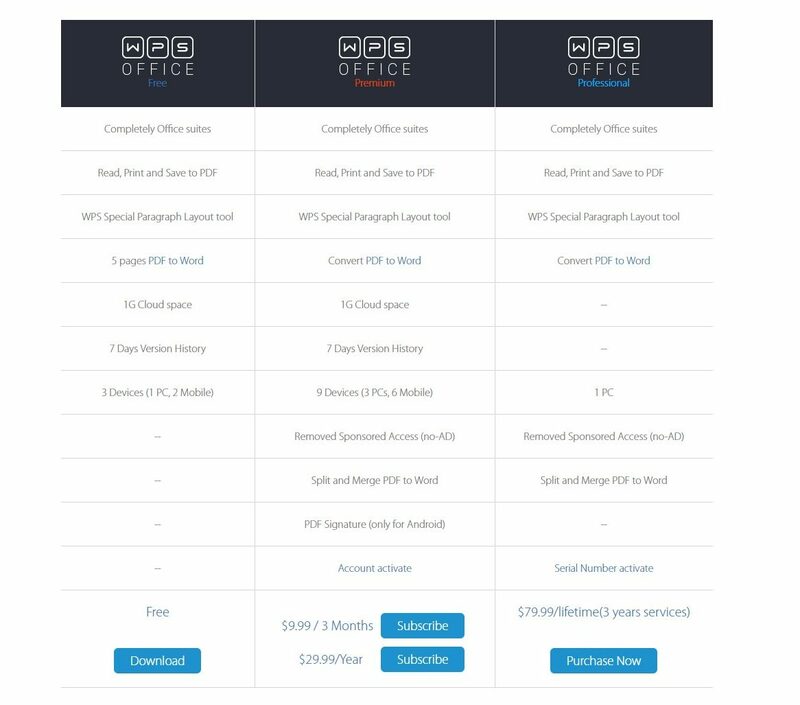 Unless you are a super-advanced user, you won’t really notice the difference between Microsoft’s office suite and WPS office suite. If you’re looking for free alternatives – this isn’t the obvious choice because it contains Advertisements. However, if you are willing to upgrade – it would be perfect! With the additonal money saved (comparing it to the pricing plans of Microsoft Office), you can grab some games for your PC/console (clever!). Cheapest Microsoft Office alternative that does the work! Previous articleNOKIA 9: Exactly What We Wanted To See Except..